Just what was dreaded or shall we say, much awaited by many? The climax of Game Of Thrones Season 7 Episode 7 (The Dragon and the Wolf) has reportedly been leaked by the same group of hackers, who operate under the moniker Mr Smith. 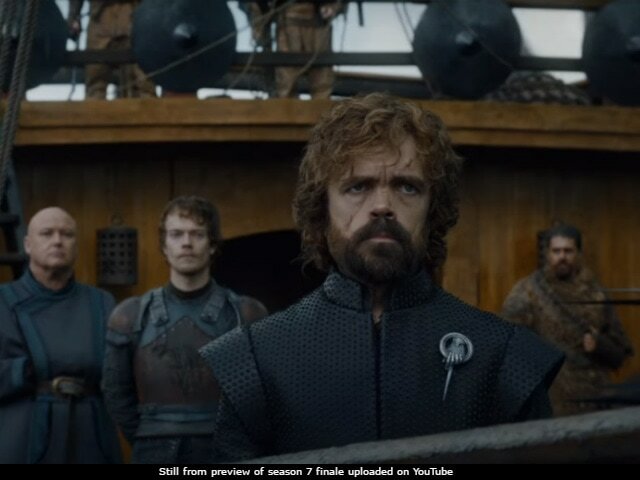 A report in Mashable stated that the hackers e-mailed detailed script outlines for the entire gamut of episodes for season 7 also including the season finale climax. Independent reported that the hackers posted their e-mail on a branched-out section of Reddit dedicated to spoilers - details of the finale would only be available to particular users asking for it on the provided id. The story-line is 20 pages long and has details enlisted for internal usage, reported Independent. But this was not enough. The hackers, who now claim to be in possession of 5 TB of HBO's internal data, have allegedly sold it off to members of Deep Web. "By the way, we officially inform you and other hundreds of reporters whom emailing us that we sold 'HBO IS FALLING's entire collection (5 TB!!!) to 3 customer in deep web and we earned half of requested ransom," is what Mashable was communicated on e-mail. HBO, who reportedly offered to pay $250,000 as part of negotiations with the hackers, released an official statement saying: "That's a game we're not going to participate in," reported v. "The hacker may continue to drop bits and pieces of stolen information in an attempt to generate media attention," Mashable reported the statement as adding. Hackers of the Mr Smith group shared data dump of crucial HBO information for the sifth time - they released the fourth Game Of Thrones episode of this season ahead of schedule and have been attempting to ransom more HBO data since earlier this month. The previous season was leaked and shared on streaming websites after Spain HBO accidentally aired it days ahead of schedule. Game Of Thrones 7 airs every Sunday evening in USA and Tuesday evening in India. Everyone On Game Of Thrones Says The Crypts Are Safe. So Everybody There Will Die, Right?